Soybeans have a rich history! They are one of the largest commodities products produced by the United States. Take some time and glance over the information on each of our website pages to gain a better overall understanding of soybeans. 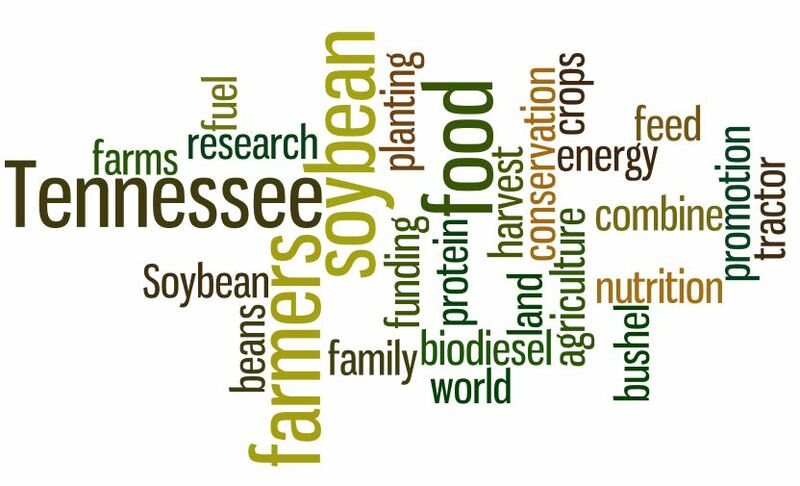 Children’s Education Programs are very important to Tennessee soybean farmers. Today’s youth are generations removed from the family farm. Most children no longer know where their food comes from or how a farm is operated. Tennessee Soybean is dedicated to the education of our state’s youth. We visit schools and events across the state in an effort to better spread the message of the importance of agriculture. We also teach children about the benefits of soybeans and why they are so important to our daily lives. One of the ways that we do this is by showing them how to read labels and take inventory of their own eating habits. Farm Education Days are local events that give representatives of agriculture the chance to reach out to our state’s youth and other members of the community. These agriculture experts, farmers and ranchers, take this opportunity to share their knowledge of farming activities. Schools all over the state of Tennessee participate in Farm Education Days. Events like these give farmers an outlet to reach out to the next generation and teach them how agriculture affects our daily lives. AG in the Classroom is an effort hosted by the Tennessee Farm Bureau and supported by the USDA.